With vast technological change afoot, why are long-term growth forecasts becoming more pessimistic? Over the past decade, the implications of recent technological innovations for future growth have become a subject of lively debate. Some claim that, in the coming decades, the global economy will enjoy a surge in economic growth driven by improvements in productivity thanks to new technologies (Brynjolfsson and McAfee 2014; Mokyr 2018). Others caution that future growth could stall, or even decline, because new technologies will likely have a diminishing marginal impact on productivity and structural challenges associated with aging and sluggish investment growth will cast a pall on prospects (Gordon 2016). It is difficult, if not impossible, to undertake a credible quantitative analysis of the aggregate impact of new technologies on growth prospects. However, long-term growth forecasts could provide a small window into this debate. These forecasts could be expected to improve over time as new technologies, such as machine learning, cloud computing, robotics, and smartphones, spread. 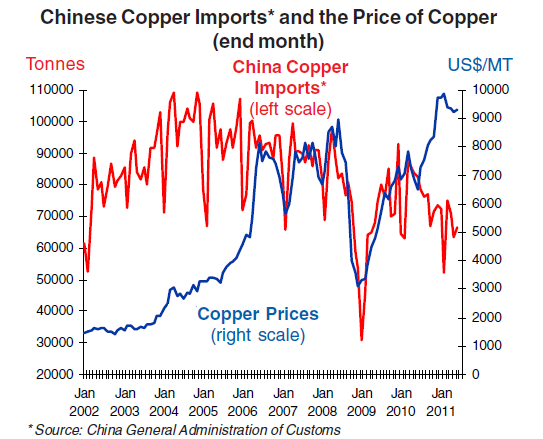 But is this borne out by the data? In our study, we examine how long-range forecasts have evolved during a period of rapid technological change in order to gauge what this might mean for future growth (Kose, Ohnsorge, and Sugawara). Our analysis is based on forecasts published by Consensus Economics, a firm that surveys professional forecasters several times a year to generate its long-term annual growth projections—the average forecast for 6–10 years ahead. Forecasts by Consensus Economics reflect the perspectives of many institutions that use a wide range of methodologies, so they tend to stand up to potential uncertainty better than projections produced by a single entity. Our sample includes long-term forecasts over 1998–2018 for 20 advanced economies and 18 emerging market and developing economies that constitute roughly 90 percent of global GDP. Following the global financial crisis, long-term forecasts were steadily downgraded. The global economy was projected in 2010 to grow at 3.3 percent in 2020. By 2018, the long-term growth forecast had been reduced to 2.5 percent (see Chart 1). Long-term forecasts were downgraded for all countries by an average 1.4 percentage points between 2007 and 2018. One quick interpretation of these increasingly pessimistic expectations is that forecasters hold a dim view of the opportunities offered by new technologies for the next decade. The global financial crisis marked a turning point in long-term global growth expectations. Between 1998 and 2007, the average long-term forecast rose from 3 percent to 3.4 percent and increased in almost half of the economies studied. Emerging market and developing economies, in particular, enjoyed improving growth prospects before the crisis, but advanced economies’ forecasts were already being downgraded in the early 1990s. After a brief period of upgrades in the late 1990s, long-term forecasts for advanced economies resumed their gradual decline in the early 2000s. Since the 2008–09 crisis, these forecasts have materially deteriorated for both groups of countries. The postcrisis weakness in long-term growth expectations is also evident, albeit at different speeds and intensities, among alternative measures of activity, including growth rates of per capita income, investment, and consumption. The pattern of precrisis upgrades and postcrisis downgrades in long-term forecasts is broadly shared by many large economies. For example, in 1998, US growth was expected to be about 2.4 percent in 2008. But by 2008, long-term growth forecasts had been revised upward by 0.3 percentage point. Similarly, in 1998 growth in China was expected to be 7.5 percent over the following decade, and by 2008, the long-term forecast had been raised 0.2 percentage point following the economy’s remarkably strong performance in the previous decade. Although long-term forecasts for Brazil and India were upgraded in 2008 relative to expectations a decade earlier, these upgrades did not last. By 2018, these economies’ long-term growth forecasts had all declined 0.3–2.4 percentage points below 1998 levels. 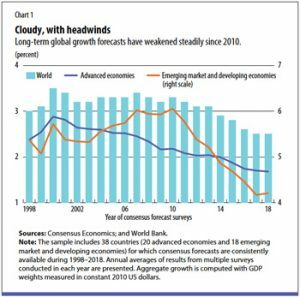 The evolution of long-term forecasts reflects the global economy’s roller-coaster ride over the past two decades. 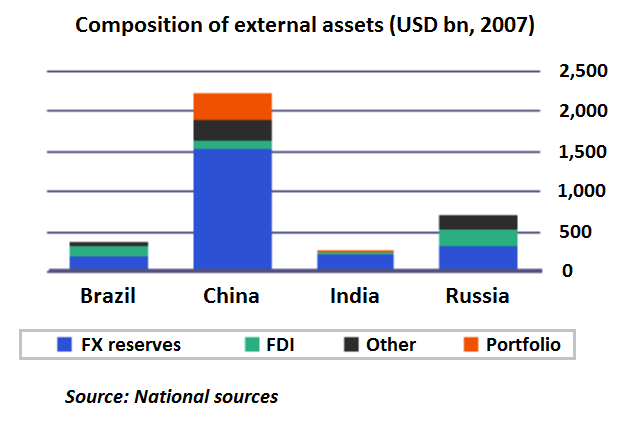 Precrisis strength in growth prospects coincided with unprecedented expansion of global trade and financial flows, along with rapid growth in some major emerging market and developing economies. During 2003–07, the global economy registered one of its best growth records since the early 1970s. Tailwinds, however, turned into headwinds during the 2009 global recession, which was followed by an anemic recovery, especially in advanced economies. Over 2010–15, long-term prospects were further impeded by the 2011–12 euro area debt crisis and by a sharp slowdown in emerging market and developing economies, attributable in part to a downturn in commodity prices. The softening of long-term growth forecasts also reflects structural forces associated with demographic changes, investment prospects, and productivity trends. These forces have already been eroding global potential growth—the growth rate of the global economy at full capacity and full employment. During 2013–17, global potential growth was already roughly 1 percentage point lower than a decade earlier, as a result of weak productivity growth, sluggish expansion of investment, and a broadening slowdown in working-age-population growth. 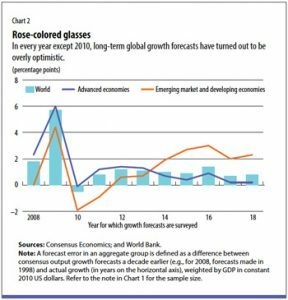 Long-term global growth forecasts made a decade earlier exceeded actual outcomes in every year of the 2008–18 period except 2010 (see Chart 2). The same was true for the majority of individual country forecasts. 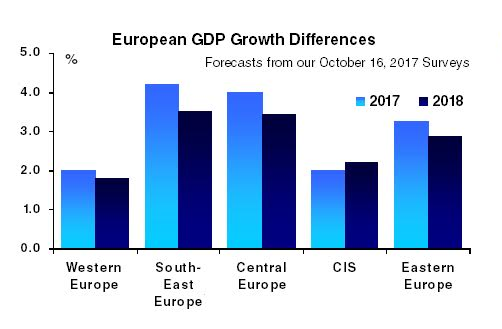 And even in 2010, forecasts were overly optimistic for about half of advanced economies and a quarter of other economies. The analysis here covers mainly the crisis and postcrisis periods that witnessed an unusual series of negative growth shocks, but the optimism bias of forecasts has been widely documented. Time and again, growth forecasts have proved overly optimistic relative to outcomes (Ho and Mauro 2015). Moreover, the degree of optimism tends to increase as the time horizon gets longer. On average, long-range forecasts overshot actual growth by 1.2 percentage points, and three-year-ahead forecasts overestimated growth by 0.7 percentage point over the period until 2018. Since long-term growth expectations presumably abstract from cyclical effects, they should reflect forecasters’ judgment about potential growth. But do they? Long-term forecasts for global growth often exceed the estimates of global potential growth over the decade that follows. These observations suggest that long-term growth forecasts have remained optimistic relative to eventual outcomes and potential growth estimates, despite becoming more pessimistic during the postcrisis period. Long-term forecasts tend to improve during periods of sustained strong output growth. In other words, growth expectations generally rise if productivity, employment, and investment growth increase for a prolonged period. For now, forecasters appear to hold a cautious view of the growth boost from new technologies over the next decade, more in line with the technology pessimists than the technology optimists. Instead of a technology-driven productivity boost, growth is expected to slide further. This pessimism could reflect an awareness that weak productivity growth, increasingly unfavorable demographic trends, and subdued investment prospects are likely to weigh on global potential growth in the coming years. Second, forecasters may be unable to project the impact of major technological changes on productivity and output growth because these types of changes, such as the mass use of electricity and cars, are rare and, when they happen, their impact on aggregate growth and productivity is felt only gradually. Moreover, a quantitative study of their implications for growth prospects requires improvements in econometric tools and data that are not available at the moment. Both explanations attribute the decline largely to a lack of good information. A third explanation is less benign: structural headwinds from adverse demographic trends, slowing investment growth, and stagnating productivity as a result of existing widely used technologies may reduce growth prospects to such an extent that even large productivity gains from new technologies will not be able to deliver strong long-term growth. This could mean that new technologies are still not mature enough to be widely used for general business purposes, and that their diffusion requires long and uncertain lags. It could also reflect obstacles to firms’ adoption of new technologies, such as financing constraints and limited worker skills. These explanations aside, if past performance is any guide, even these increasingly pessimistic long-term forecasts may eventually turn out to be optimistic as growth—yet again, as in the past two decades—disappoints. One message is clear: a hopeful outlook about future global growth depends on a significant pickup in measured productivity to offset the structural impediments confronting the world economy. Rapid technological change may eventually bring a new era of global prosperity. However, rather than wait for that new era to arrive, policymakers must act now with measures to enhance their economies’ potential growth. In the spirit of US President Dwight D. Eisenhower’s dictum “Plans are worthless, but planning is everything,” governments should prepare for the worst, even if the actual impact of new technologies is still unknown. This implies an urgent need to press ahead with initiatives to accelerate the realization of new technologies’ growth benefits. These initiatives include raising investment in human capital and expanding infrastructure investment to facilitate the use of new technologies, as well as improving institutions and regulations to meet the needs of technological change. M. AYHAN KOSE is director of the World Bank’s Development Prospects Group, where FRANZISKA OHNSORGE is manager and NAOTAKA SUGAWARA is senior economist. Brynjolfsson, Erik, and Andrew McAfee. 2014. The Second Machine Age: Work, Progress, and Prosperity in a Time of Brilliant Technologies . New York: W. W. Norton & Company. Gordon, Robert J. 2016. The Rise and Fall of American Growth: The U.S. Standard of Living since the Civil War . Princeton, NJ: Princeton University. Ho, Giang, and Paolo Mauro. 2015. “Prognosis: Rosy.” Finance & Development 52 (1): 40–43. Kose, M. Ayhan, Franziska Ohnsorge, and Naotaka Sugawara. Forthcoming. “Global Growth Next Decade: Optimistic Expectations, Disappointing Outcomes.” World Bank Policy Research Working Paper, World Bank, Washington, DC. Mokyr, Joel. 2018. “Building Taller Ladders.” Finance & Development 55 (2): 32–35.